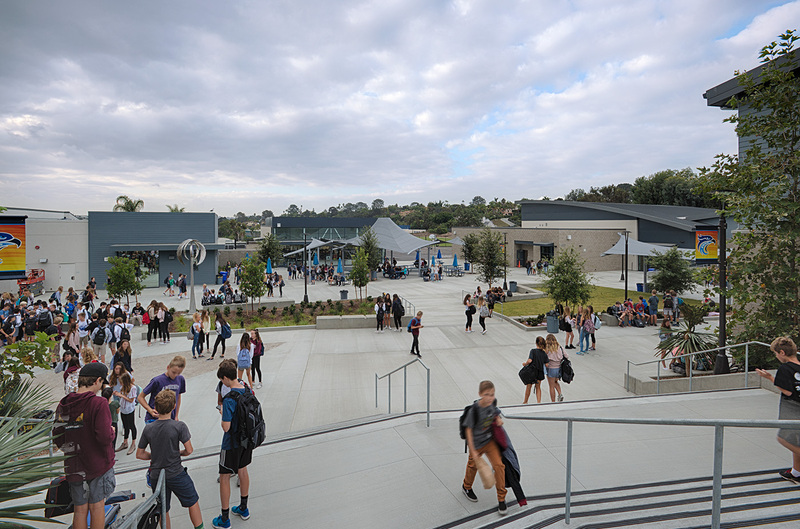 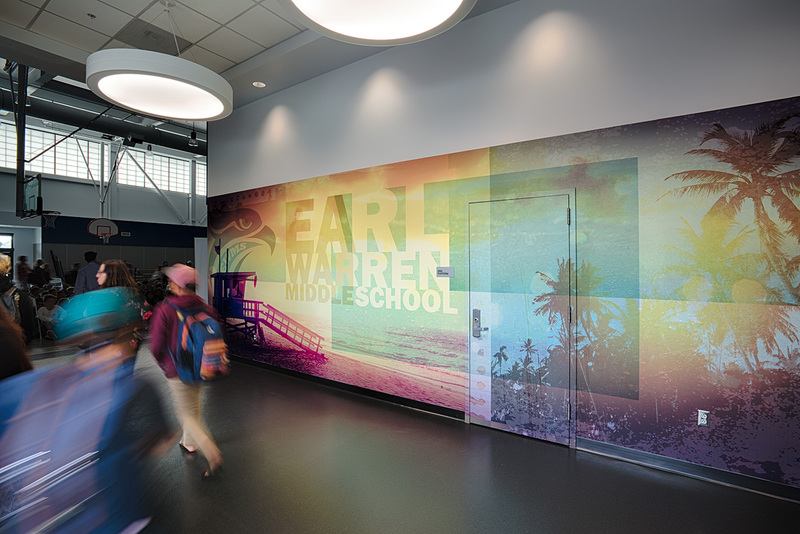 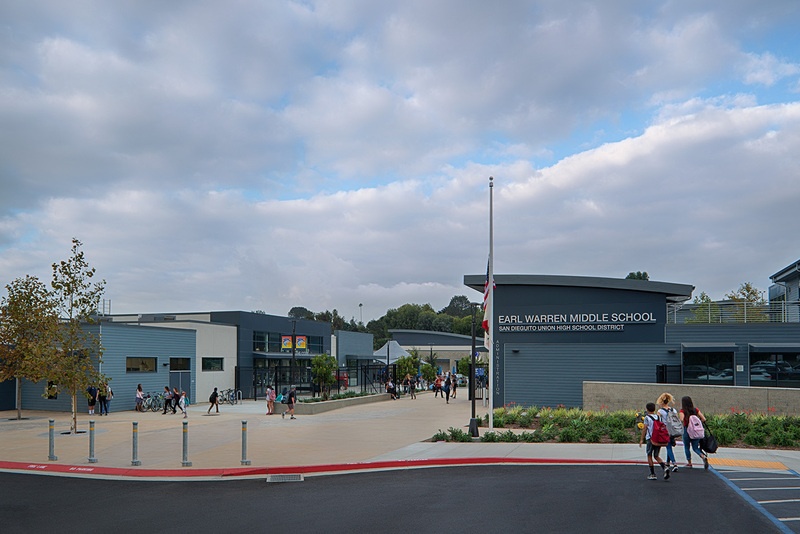 At Earl Warren Middle School (EWMS), the existing, steep 20 acre campus, built in 1954, was in need of significant updates to not only meet the District’s vision, but also address a myriad of access compliance issues. 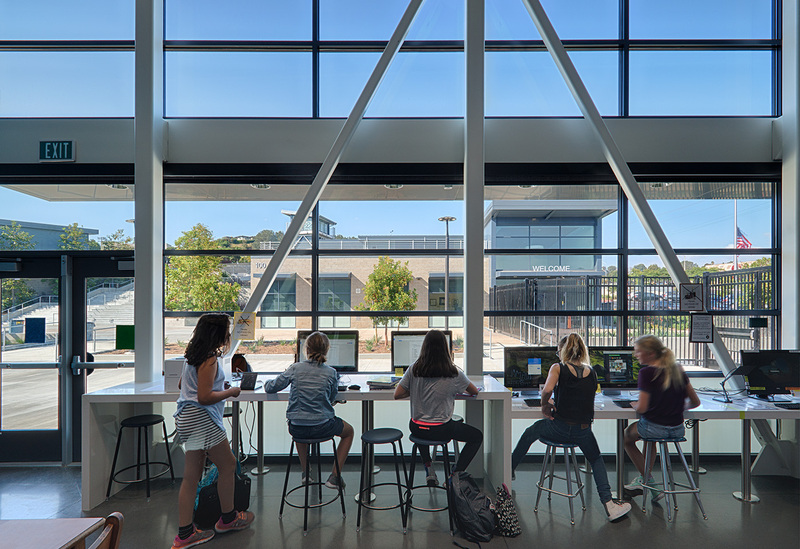 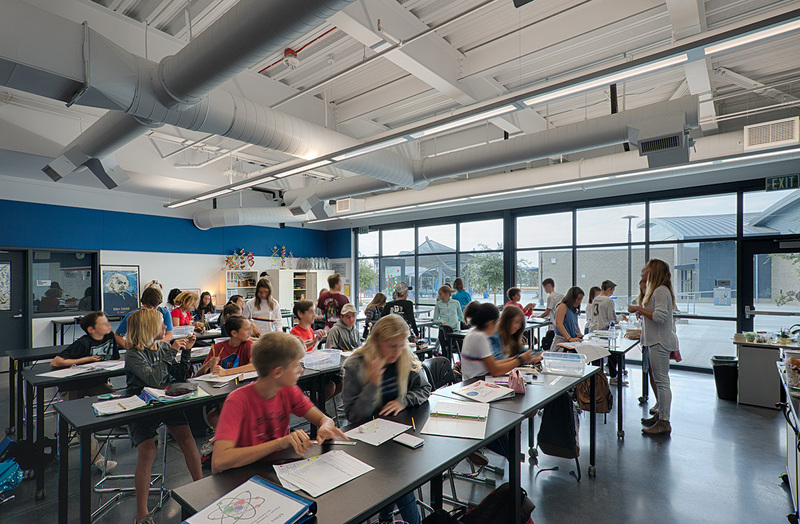 Hands-on learning (science, music and art), multi-purpose rooms and a food service kitchen with food court and a joint-use library open up to a vibrant public space. 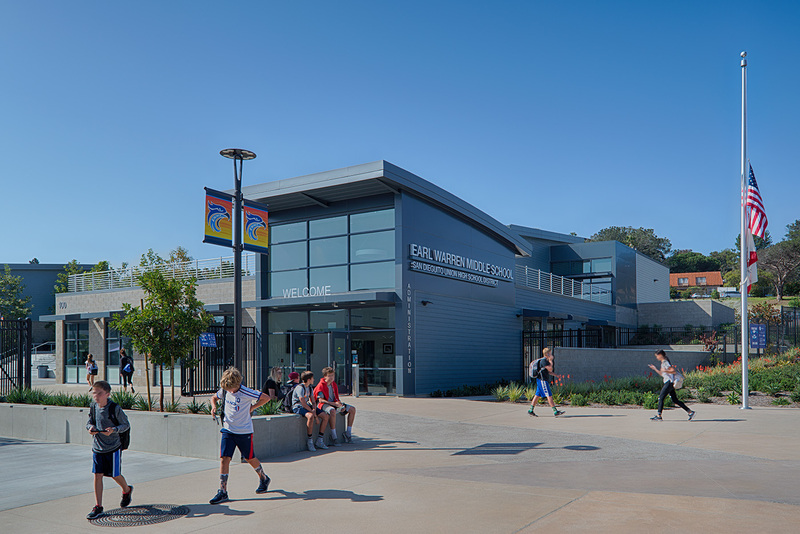 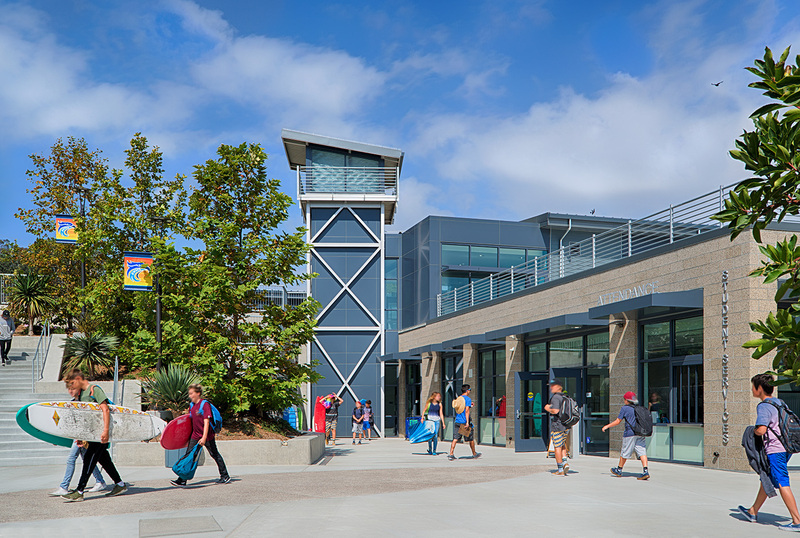 The EWMS campus is also home to a joint-use library with Solana Beach. 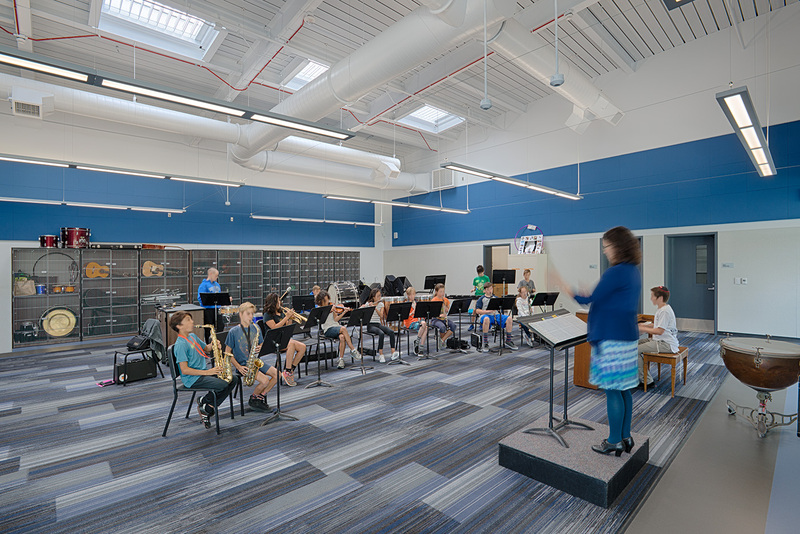 The project includes a 4,000 square foot addition to an existing joint-use library, plus renovation and accessibility improvements to approximately 1,800 square feet of the existing library. 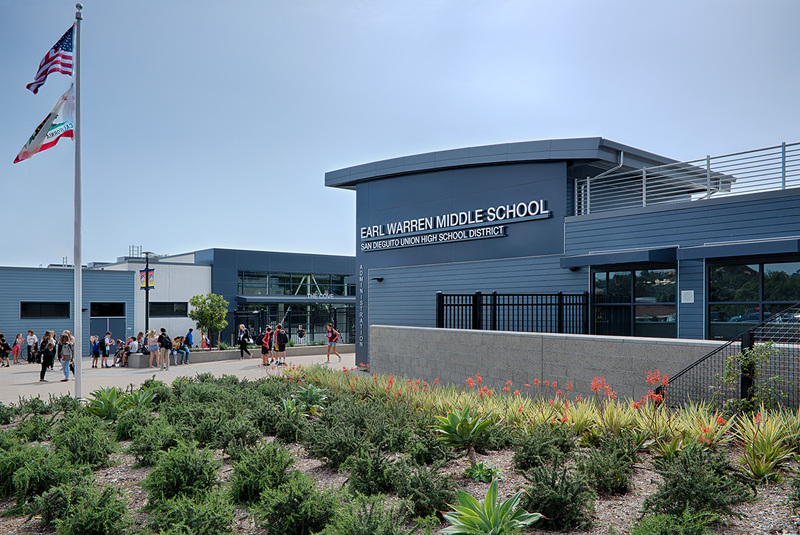 This extensive Renovation includes ADA upgrades and remained fully operational during construction.